Last October I was very happy to accept the invitation of Nynke Kruiderink (ICT in Education at the College and Graduate School of Social Sciences) to help assist professor Ramón Spaaij (Special Chair of Sociology of Sport) with a new feature of his course Sport, Culture & Society (MA Sociology): the use of blogs – each student establishing and developing his or her own – to discuss the course topics. The aim of the online blog journal expected from each student was – while applying «sociological perspectives and debates on sport to ‘real-world’ experiences and examples» – «to engage with other people’s ideas in order to develop, test and communicate your own in a (semi-)public forum […] learn about the writing conventions that structure critical engagement of public issues in online media». Access and fair use of online sources for an academic assignment, and netiquette practices also belong to the blog’s aims (source: ‘Course manual’). Provided with scholarly literature on the use of blogs in higher education (the titles are listed below) and based on my own experience both as a blogger and as a librarian teaching information literacy, I chose online privacy and the (additional) reasons for blogging as main issues to address in the presentation I was asked to deliver to the students at the course kick-off. No matter the topic or the online platform, and all the more so if writing in an academic or educational context, one of the greatest challenges posed to students is the permanent traceability of information shared on the internet. While such powerful search tools as the Wayback Machine may be aptly used to retrieve information long thought lost, it’s precisely the somehow apparently indelible memory of internet which has gradually been attracting the attention of both digital/privacy rights activists and European legislators: the debate on the ‘Right to be forgotten’ (see the 2012 EU-factsheet) and the recent rejection of the so called ‘safe harbour scheme’ by the Court of Justice (thanks to Austrian student Max Scherms’ action) are cases in point I used to illustrate the issue of online privacy. As for the reasons for blogging, additional to it being a course assignment (the students’ case) or a tool to share information with library users (my case): among those mentioned in the literature (Sim & Hew, 2010), it was the purpose of the blog as «learning journal or knowledge log» which mostly resonated with my own blogging experience and its welcome (side-)effects, i.e. seeing how a number of topics that I had often been addressing provided a coherent and ever-developing picture of my main professional interests and concerns. To put it in the words of another article on blogs and higher education (Freeman & Brett, 2012): «…interest-driven blogging practice, defined as writing regularly about ideas that are personally meaningful, as they emerge. When students wrote timely posts, they were able to maintain and improve on the level of reflection evident in their blog posts. The prompts were worded in a way that created the potential for writing about personally meaningful ideas, an important factor that supported blogging practice and encouraged topic resonance with the students’ own interests». The ‘technical’ side of creating and maintaining a blog (including making it ‘private’ and licensing its content via Creative Commons) was also part of my presentation, but proved in the end less needed, thanks both to the variety of support resources available at blog-platforms (see WordPress as example) and to students’ familiarity with online tools. Attractive examples of the blogs produced by the MA-students of the UvA-course Sport, Culture & Society – in terms of both creative approach to blogging and insight in the course topics – follow here below: professor Spaaij provided the brief introductory notes to each example. Elinor Gittins https://notagadget.wordpress.com/. Demonstrates how hyperlinks and visual images can be effectively and aesthetically incorporated in a blog. Iris van de Ven https://ivandeven.wordpress.com/. A beautifully designed blog that illustrates how the interaction between author and audience – through comments posted by other students – can enhance students’ critical engagement and collective reflection on the course topics. Joris Bastiaan https://sportsemiotics.wordpress.com/. One of a number of blogs written by the students that succeeded at applying complex sociological concepts and theories to the lived experience of sport in a way that complemented and augmented the classroom activities and discussion. – Farmer, B., Yue, A., & Brooks, C. (2008). Using blogging for higher order learning in large cohort university teaching: A case study. Australasian Journal of Educational Technology, 24, 123-136. Retrieved from http://ajet.org.au/index.php/AJET/article/view/1215/441. – Freeman, W., & Brett, C. (2012). Prompting authentic blogging practice in an online graduate course. Computers & Education, 59, 1032-1041. http://dx.doi.org/10.1016/j.compedu.2012.03.019. – Jimoyiannis, A., & Angelaina, S. (2012). Towards an analysis framework for investigating students’ engagement and learning in educational blogs. Journal of Computer Assisted Learning, 28, 222-234. http://dx.doi.org/10.1111/j.1365-2729.2011.00467.x. – Sim, J. W. S., & Hew, K. F. (2010). The use of weblogs in higher education settings: A review of empirical research. Educational Research Review, 5, 151-163. http://dx.doi.org/10.1016/j.edurev.2010.01.001. Yueh, H. P., Lin, W., & Lu, T. (2014). Users’ perceptions of blog functions: educational vs personal use. Program: electronic library and information systems, 48, 41-52. http://dx.doi.org/10.1108/PROG-10-2012-0058. Due to the growing workload – which has prevented me from blogging after the New year’s post of last January 10 (!) – my colleague Janneke Staaks and I have decided to join our efforts and replace our subject specific blogs with a common one meant for the whole UvA Social Sciences library: Library 333. By alternating our contributions to the blog we’ll guarantee an higher publication frequency, which might even become higher if colleagues Agnes Dessing and Judith Opitz will join us on the new blog, completing the team of UvA Social Sciences’ subject librarians. … sort of, since the library I came across while leafing through a magazine actually dates to 2011. Yet I found it such an inspiring building that I couldn’t resist the temptation of using it in this first 2014 post. 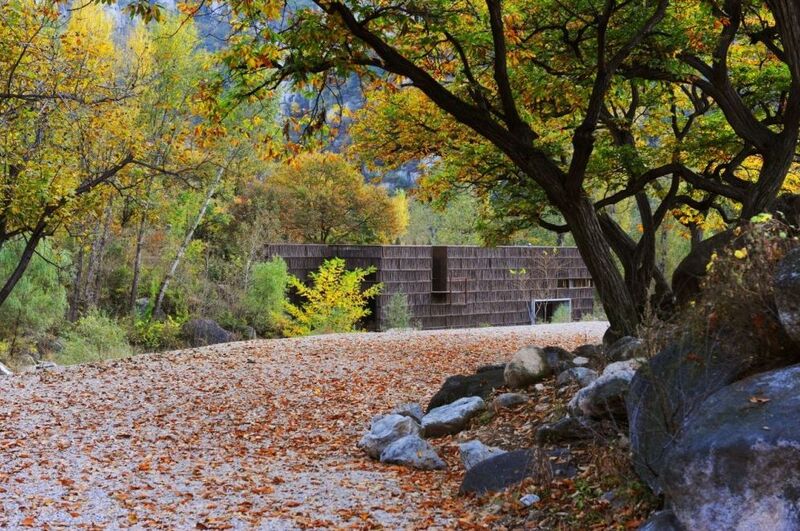 The LiYuan Library, in the Beijng district of Huairou, is the work of Li Xiaodong Atelier and amazingly succeed – as the pictures show – in the designers’ aim of using «architecture to enhance the appreciation of the natural landscaping qualities. So instead of adding a new building inside the village center, we chose this particular site in the nearby mountains, a pleasant five minute walk from the village center […] Because of the overwhelming beauty of the surrounding nature our intervention is modest in its outward expression. We can’t compete with nature’s splendor» (pictures and quote from Archdaily.com). 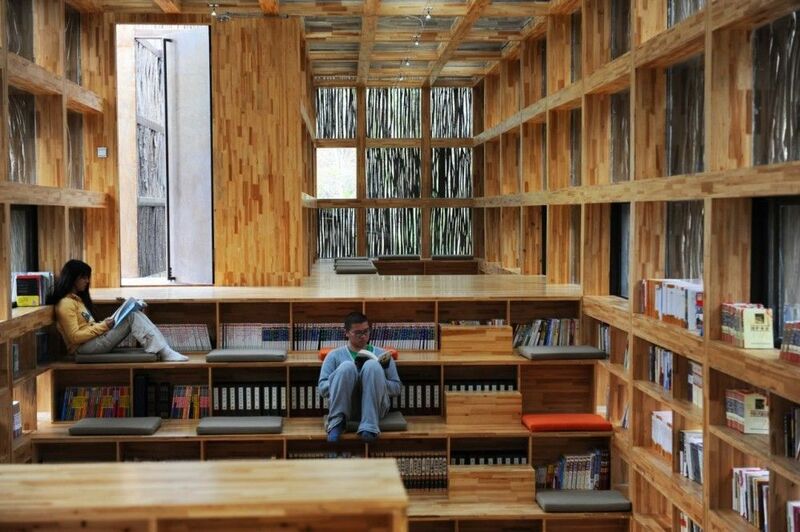 The use of locally sourced wooden sticks on the library exterior and the intimate play of light and wood in the interior are but two of the fascinating solutions adopted by the architects. Have an inspiring new library year! – Marguerite Yourcenar’s wonderful novel L’oeuvre au noir – whose English translation has the same title I have chosen for this post, and where the following quote – aptly dealing with numbers and men – comes from: «Man is as yet an enterprise, beset by time and necessity, by chance, and by the stupid and ever increasing primacy of sheer numbers. […] It is men who will kill off man» (from Farrar, Straus and Giraux’s edition of Yourcenar’s book, found here; as for the French original: «L’homme est une entreprise qui a contre elle le temps, la nécessité, la fortune, et l’imbécile et toujours croissante primauté du nombre […]. Les hommes tueront l’homme», p. 305 of Gallimard’s 1968 edition, available at the UvA Library). 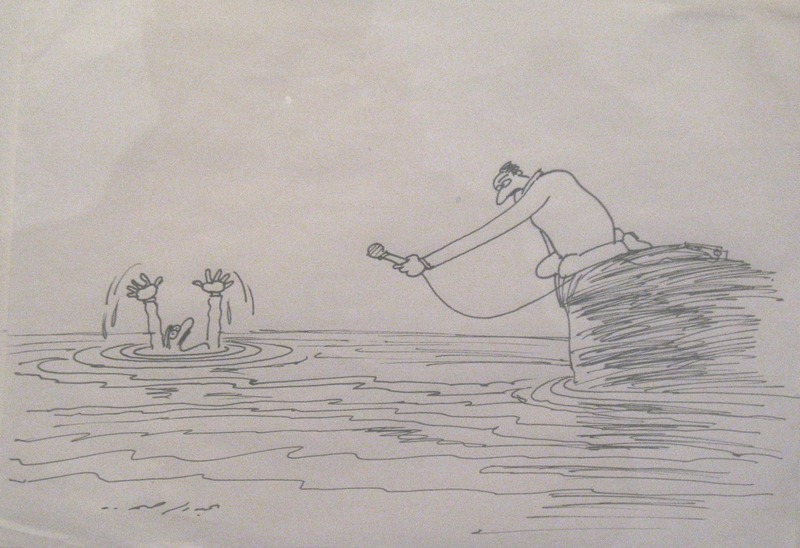 – two witty cartoons from one of Italy’s best known and most appreciated children book’s illustrators and political cartoonists, Francesco Tullio Altan: not only a gripping visualization of some of the above mentioned concerns, but also a convenient link to a forthcoming post on the Blog Nostrum. 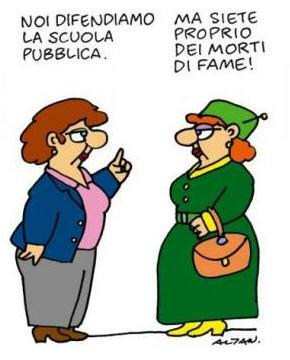 As for the cartoons’ texts: the two ladies (found here), “We stand for State schools. You really are a bunch of losers!”. 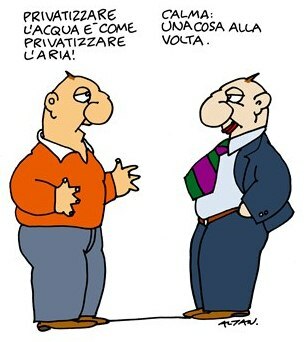 The two gentlemen (source), “Water privatization: it is just like privatizing air! Keep calm: one thing at a time”. As from next December 1st Italian studies will become part of my responsibilities at the UvA Library, as I have been asked, and have eagerly accepted, to replace my colleague Margriet van Oerle, who is retiring at the end of this month. The Blog Nostrum: UBA Blog Romaanse Talen en Cultuur has been, just as is the case of Bibliocw-soc, an additional activity of Margriet (who is presently in charge of all Romance languages), together with colleague Marta Adsarias Rivero. My newly appointed colleague for French and Spanish, Yasmina el Haddad, and myself will be henceforth working together (also) on the blog. 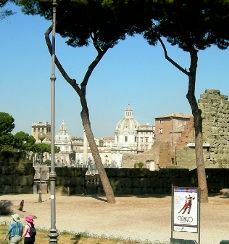 Photo of Rome comes from the UvA-website for Italian studies. Relevant to Sociology (the UvA Amsterdam Institute for Social Science Research AISSR has both a Programme Group, Institutions, Inequalities and Life courses IIL, and an interdisciplinary Research centre, the Amsterdam Centre for Inequality Studies AMCIS, working on the topic) and of everlasting interest for us all, inequality makes it to the headlines worldwide almost on a daily basis under the present financial/economical crisis. Here follows some of my recent random encounters with the topic. – Growing Inequalities Impacts GINI is an international (Australia, EU, Japan and North America) and interdisciplinary (economics, political science, sociology) project which focuses on «inequalities in income/wealth and education and their social, political and cultural impacts […] the implications for policy and institutions […] potential effects of individual distributional positions and increasing inequality for a host of ‘bad outcomes’ (both societal and individual)». Country Reports are full-text available on the GINI-website. The above mentioned AMCIS and the Amsterdam Institute for Advanced labour Studies AIAS belong to GINI’s core research teams. – a 2011 post at ThinkProgress, a project of the Center for American Progress Action Fund, which is «an independent nonpartisan education and advocacy organization dedicated to improving the lives of Americans through ideas and action». – a 2012 post at CNNMoney, the CNN business website. 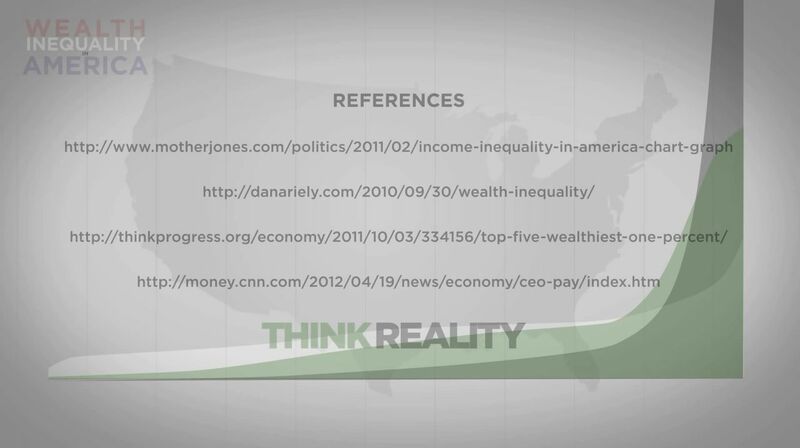 MotherJones, ThinkProgress and CNNMoney all belong to the category of news, and as such they will make suitable information sources depending on what our research question is. Let’s focus on Mother Jones and ThinkProgress: their respective ‘About’ pages, ThinkProgress’ affiliation to the Center for American Progress Action Fund (whose President is a member of the Democratic Party) and the way they address news topics all indicate a liberal to left-wing political agenda. A likely candidate for a research question requiring the use of both websites could therefore be how progressive online media and/or “think tanks” report on inequality, both in the US and abroad (see The Rules for a worldwide take on the topic). – as far as inequality and evaluating web sources are concerned, two other interesting test cases are the following: Distinguished Professor Emeritus (University of California Santa Cruz) William Domhoff’s website Who Rules America, and the Global Wealth Report 2013, released in october by the Credit Suisse Research Institute. The two sources agree in reporting high levels of inequality (in the US and worldwide alike), yet how to assess the value of research methodologies as different as those likely to be expected from an academic and a financial setting? What sort of bias, if any, could possibly be present in each of the sources? 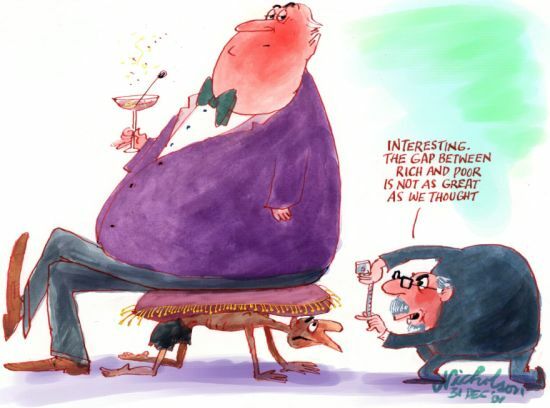 Australian cartoonist Peter Nicolson‘s “gap tween rich and poor” may be twelve years old but is still just as topical today as it was back then. The times have gone, when a social approach to art history was able to produce such classics as Arnold Hauser‘s Social History of Art, and yet – no doubt thanks to my library work within the social sciences – I am always fascinated by (contemporary) works of art that know how to address broader issues than only aesthetic/poetic ones. 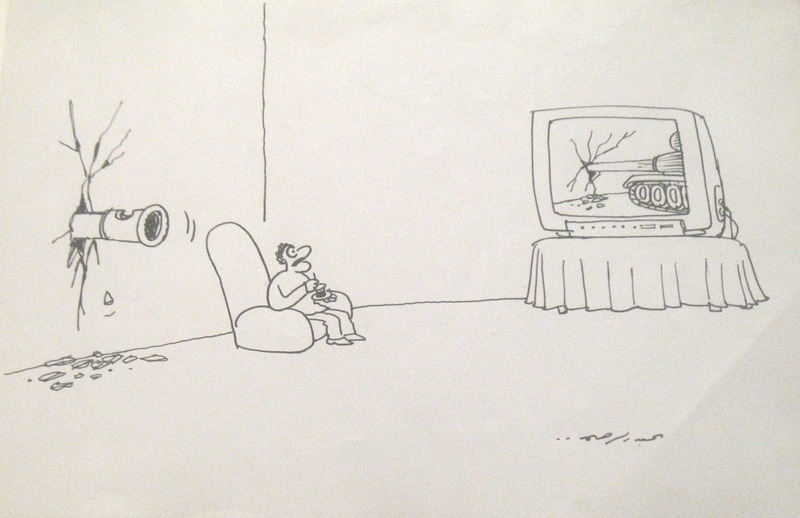 Here follows an example from political cartoonist Abdul Raheem Yassir’s work, seen (and photographed) last month at the Iraqi Pavilion at the 55th “Biennale di Venezia”: present-day media pervasiveness and our (active) role therein are finely addressed by both cartoons. Stefano Giani's work is licensed under a Creative Commons Attribution-NonCommercial-ShareAlike 3.0 Unported License.